"Robert Kelly's sculptures flow with a sensuality that is almost musical. They often represent female figures in elegant poses and have the lightness and beauty of a sonata. 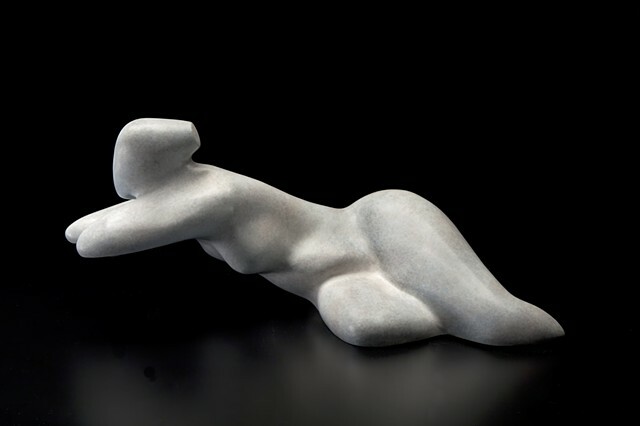 Kelly's sculptures are not only works of art, but also works of great beauty and style, which are molded into fluid, sinuous, elegant shapes by the artist's loving touch. 'I have always loved doing things with my hands and sculpture was the next natural extension of that love. There is an indescribable feeling when my hands are molding what my mind is visualizing,' he states. Inspired by Rodin's passionate late Romanticism and Brancusi's cutting-edge modernism, Kelly's sculptures combine the best of both to create something that is his own innovative signature style."